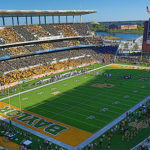 WACO—The Big 12 Conference verified Baylor University has implemented recommended policy changes regarding sexual assault, but it fined the school $2 million for damaging the conference’s reputation. The conference board of directors announced Oct. 30 it unanimously accepted and adopted an independent verification report saying Baylor had “structurally completed and practically implemented” all 105 recommendations made by attorneys formerly with the Pepper Hamilton firm. The report also affirmed Baylor’s compliance with relevant conference bylaws. “This is now the second external verification of our completion of the 105 recommendations, which have already helped the university prevent and respond to reports of sexual assault and interpersonal violence on our campus,” Livingstone said. The attorneys who conducted the original investigation into how Baylor responded to sexual violence issued a report one year ago verifying that Baylor had implemented the 105 recommendations they made. Also, the Southern Association of Colleges and Schools Commission on Colleges—the accrediting agency that placed Baylor on a one-year warning for noncompliance—found the university had implemented all recommendations to protect student safety, provide administrative control over athletics and respond to sexual violence, and it removed its sanction. According to the Big 12 report, the verification team reviewed more than 600 documents provided by Baylor, interviewed about 100 individuals in person and conducted more than 70 phone interviews. The interviews included members of Baylor’s senior administration, athletic department, Title IX office, human resources office, faculty and law enforcement. “Since May of 2016, Baylor has invested considerable resources and effort to implement the recommendations,” the report noted. Baylor increased its 2017 Title IX office budget to nearly five times its 2015 budget. Baylor’s athletic department has incorporated “four pillars” into its training program—academic achievement, athletic success, character formation and spiritual growth. “The character formation program focuses on life skills, social responsibility and respectful relationships,” the report noted. The university’s board of regents responded to 35 task force recommendations regarding governance. These included forming an executive committee, dissolving the board’s longstanding athletics committee and restructuring its committees to separate powers and responsibility and to reduce the risk of potential conflicts of interest. Streamlined board and committee meetings “reduced the risk of micromanagement by the board,” the report noted. The Big 12 Conference lifted all sanctions and will stop withholding additional funds. In February 2017, the conference board voted to withhold 25 percent of future revenue distribution payments to the university pending the outcome of the verification review of changes to Baylor’s procedures and policies, particularly regarding its athletic programs. The conference reported it has withheld $14,255,000. From that amount, Baylor will reimburse the Big 12 for more than $1.65 million in legal costs. The remaining $12.6 million will be held in an investment account four years. Net earnings from the investments will be distributed in equal portions to member schools in the conference to fund prevention efforts focused on sexual and gender-based harassment and violence, as well as educational efforts regarding healthy relationships, LGBTQ discrimination and bystander awareness, the conference announced. Baylor still faces investigations by the NCAA and the U.S. Department of Education.